Take a first look at Tim Burton's new movie, MISS PEREGRINE’S HOME FOR PECULIAR CHILDREN. Twentieth Century Fox have released first look images of the new film from Tim Burton, MISS PEREGRINE’S HOME FOR PECULIAR CHILDREN. Based upon the best-selling novel, comes an unforgettable motion picture experience. When his beloved grandfather leaves Jake clues to a mystery that spans different worlds and times, he finds a magical place known as Miss Peregrine’s Home for Peculiar Children. But the mystery and danger deepen as he gets to know the residents and learns about their special powers…and their powerful enemies. Ultimately, Jake discovers that only his own special “peculiarity” can save his new friends. 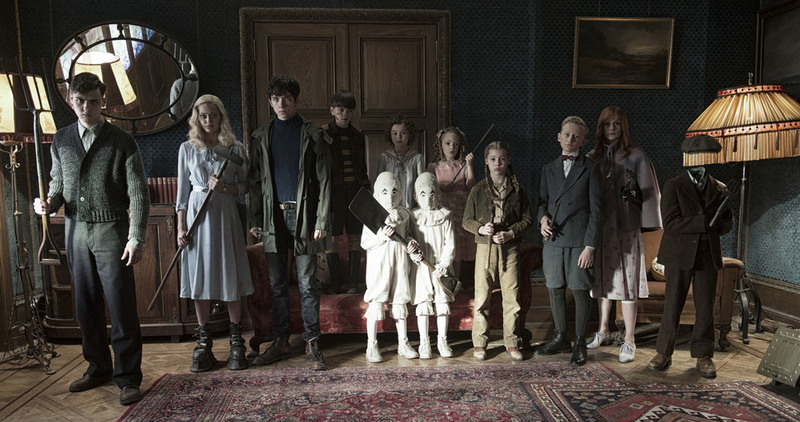 MISS PEREGRINE’S HOME FOR PECULIAR CHILDREN stars Eva Green, Asa Butterfield, Chris O’Dowd, Ella Purnell, Allison Janney, Rupert Everett, Terence Stamp, with Judi Dench and Samuel L. Jackson. The film hits cinemas Autumn 2016. Actual Eddie the Eagle has an exclusive message for The Version readers! Win an ALLEGIENT movie prize pack.